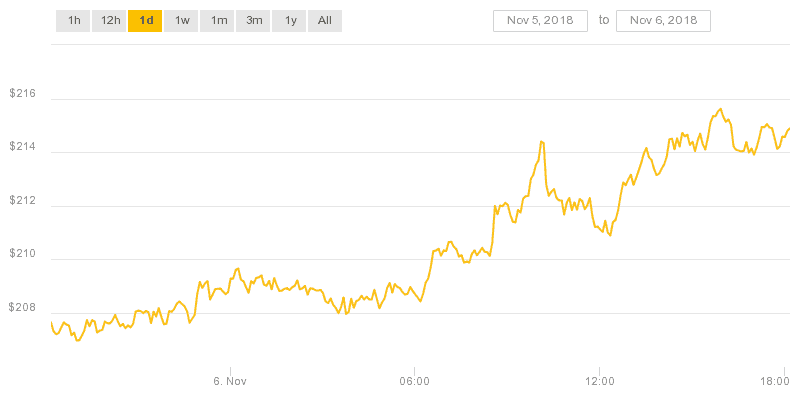 November 6: The cryptocurrency markets are in the green today as virtually all major coins are seeing day-over-day gains. Most notably, Bitcoin Cash and Ripple are today’s winners with significant price increases of nearly ten percent. 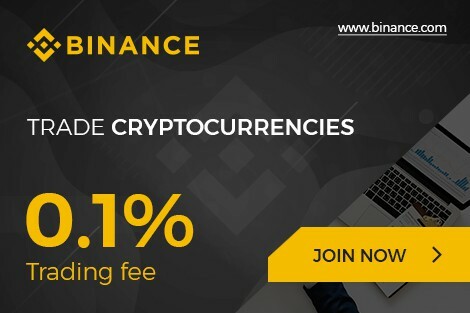 However, looking at the cryptocurrency market in general, things are looking up. A green wave seems to have engulfed the cryptocurrency board, and the total cryptocurrency market capitalization is $216.9 billion. This would suggest that the market cap has recovered from its sojourn around the $200 billion level last week. Furthermore, a total cryptocurrency market cap of $216.9 represents market-wide gains of 2.26% over the last 24 hours. Moreover, the total trading volume over the past day is $14.9 billion, which is up 7.17% from yesterday. 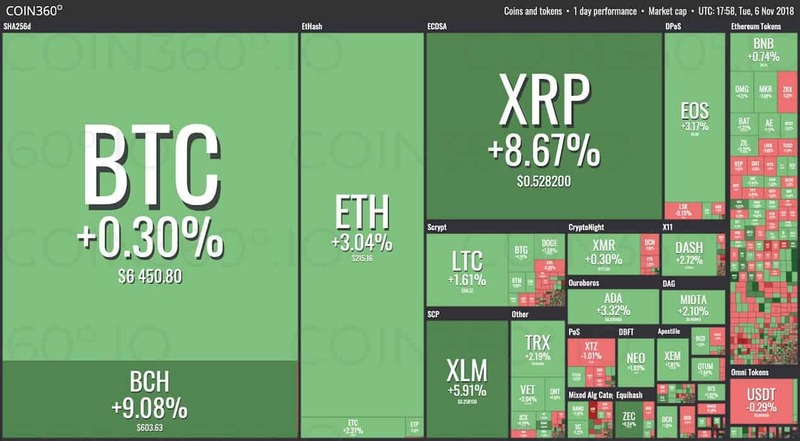 The following market visualization, from Coin360, clearly shows the overwhelming amount of coins ”in the green”. It can clearly be seen that the only coins seeing intraday losses are comparatively minor ones. The largest coin with a price decrease during the past 24 hours is Tether. 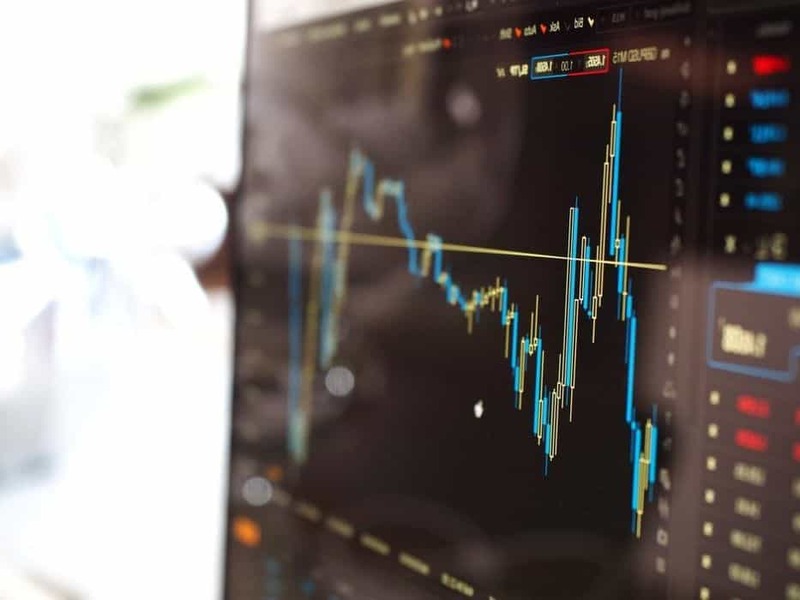 However, Tether is a stablecoin, meaning that its performance is not indicative of the market as a whole. Naturally, no price analysis would be complete without a mention of Bitcoin. 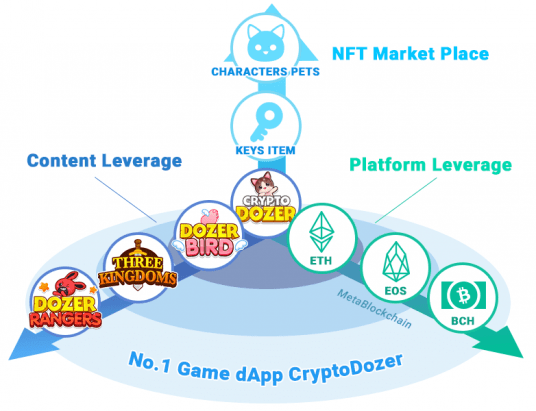 The premier cryptocurrency is indeed in the green, but has seen comparatively modest gains during the past day. 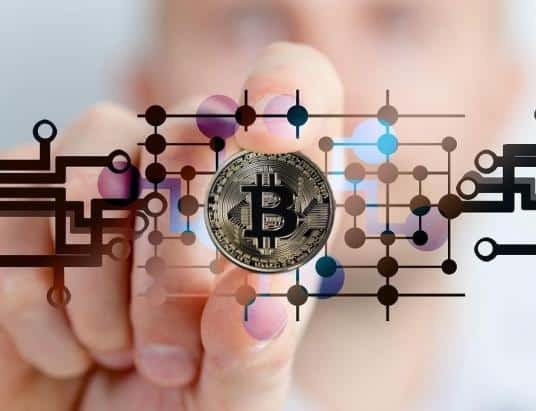 At the time of writing, Bitcoin is trading at $6,440.06, which represents a price increase of a relatively minor 0.30%. 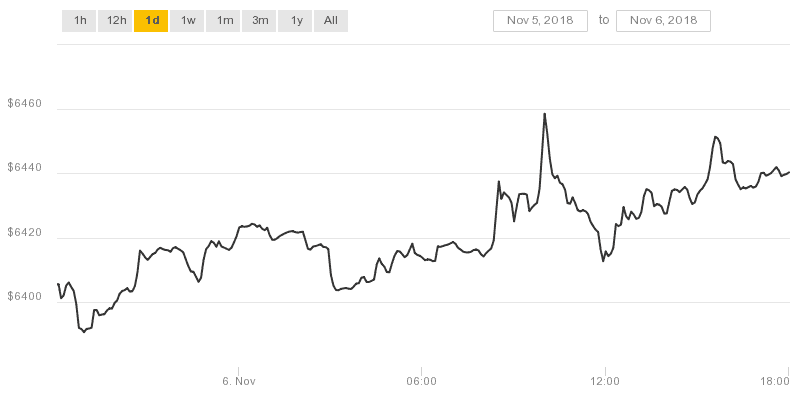 However, the following price chart from CoinDesk shows that the price of Bitcoin has increased steadily during the day. 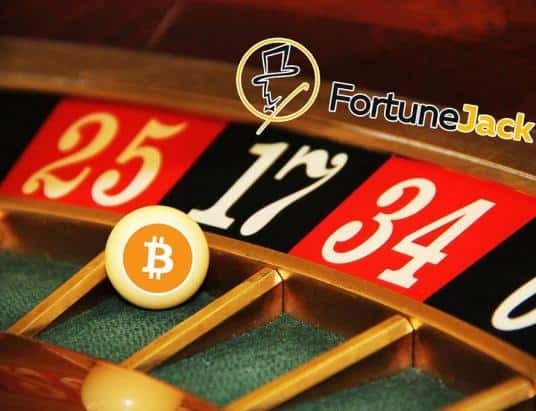 Viewed from a broader perspective, this means that Bitcoin is continuing its climb from last week’s low of $6,237.97. Whilst this low made some suggest that Bitcoin might test the long-holding $6,000 barrier, Bitcoin has now risen substantially. The price of Ethereum is also seeing marked gains during the past day. Currently, ETH trades at $216.05, which is an intraday increase of 3.23%. Much like Bitcoin, the price of Ethereum has been trending steadily upwards during the last 24 hours. This can clearly be seen in the price chart attached above. Moreover, this is similarly a week-long recovery for the cryptocurrency, since trading at sub-$200 levels last week. Bitcoin Cash is arguably the biggest winner of the past 24 hours. The cryptocurrency is currently trading at $607.02, which is a 9.55% increase over the past day. Nevertheless, Ripple is not far behind. 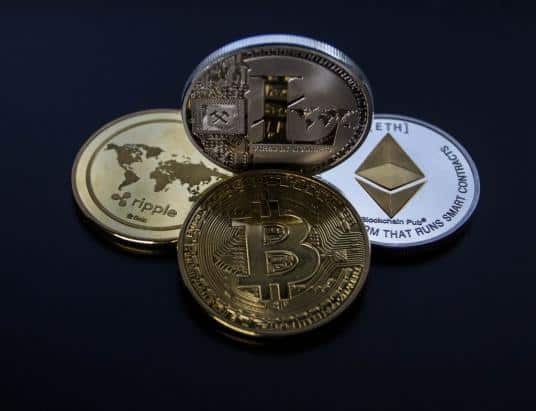 XRP trades at $0.5287 at the time of writing, which constitutes gains of 8.90%. Stellar has seen an increase of 5.83%, taking it to levels of $0.2583, and EOS has risen by 3.46% to $5.66. Moreover, Litecoin has surged to $54.44, representing gains of 1.97%.